Our topic for today combines two of the most popular buzzwords in marketing right now. “Social” and “influencer.” Both of these present an ocean of opportunities for marketers and brands. Just the sheer number of active users on social media channels is astonishing! And this number keeps increasing by the day. Social influencer marketing is a popular strategy being used by many marketers today. Simply put, it is a tactic of leveraging the follower base of a social media influencer to sell your products. The reason for its popularity is the success derived from these campaigns. 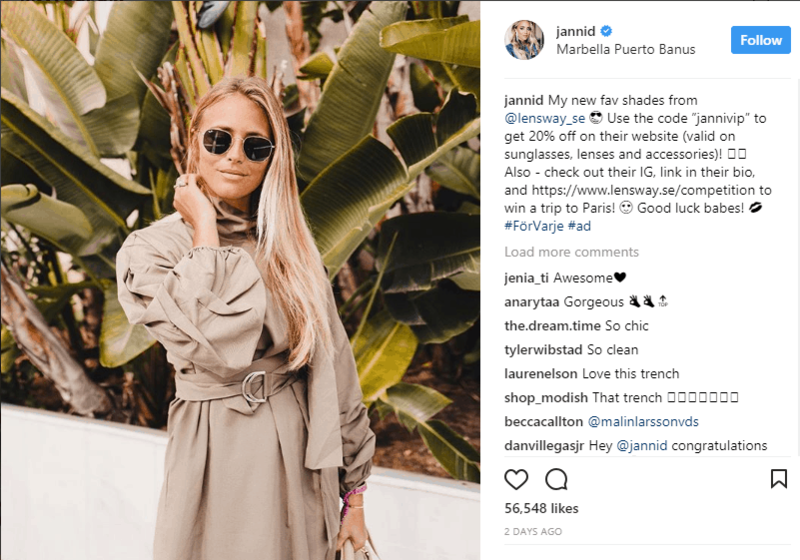 In this article, we’ll take a closer look at some of the biggest benefits of social influencer marketing for brands. Perhaps the biggest benefit of social influencer marketing is its inherent property of not being pushy. Social influencer marketing is radically different from traditional marketing strategies. There’s no denying that advertisements are the most popular weapon for marketers using traditional strategies. However, consumers are tired and frustrated with these advertisements being displayed to them time and again. 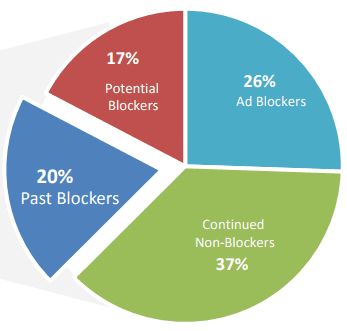 A study by Interactive Advertising Bureau (IAB) revealed that two-thirds of consumers today are using ad blockers. Desktop users say that ads make it difficult for them to navigate sites. While smartphone users believe that ads make web browsing slower. This presents a pressing concern for marketers. Fortunately, they can rely on the ingenuity offered by social media influencers. Since followers of a social influencer willingly opt to follow them, they are eager to view their content. Hence, content shared by an influencer does not seem spammy or pushy to their followers. Even if an influencer post sponsored content, they won’t mind as long as it is done aesthetically. Here’s a great example of an Instagram post from lifestyle and fashion blogger Janni Delér. She shares a look and style for which she is known to her audiences. But she’s also combined it with some promotion for a sunglass brand. Additionally, she shares a coupon code which her followers can use to get some discounts on their purchases. Audiences are extremely less likely to find such a post spammy or pushy. Successful social influencers spend a considerable time and effort in winning the trust of their followers. This is definitely not achieved overnight. Influencers create an engaging story that attracts their followers. When followers are genuinely engaged, they are part of a long-lasting relationship with their influencers. When such a thing happens, it instills loyalty and trust in their minds. They believe in the person they are following. And they trust their advice and recommendations too. Trust of your consumers is something that brands spend years together to gain. However, social influencers provide you a chance of leveraging an already loyal audience. A study by Twitter reveals that consumers rely on influencers almost as much as their friends. From the same study, 40 percent of consumers have said that they’ve made a purchase based on an influencer’s tweet. When it comes to sharing product recommendations, followers are more likely to share the ones from an influencer. The same goes for other social channels such as YouTube. A study shows that 60% of viewers on YouTube are influenced by famous YouTubers on their purchases. So if you work with social influencers to review and recommend your products, you will be trusted by your audiences. This will help you boost customer-retention and loyalty. You can leverage a tool such as Grin to identify and connect with the right social influencers for your brand. Using their platform, you can consolidate your efforts and manage your campaign effectively. A great example of this strategy can be seen in the videos shared by popular YouTuber The Deal Guy. He is also an Amazon affiliate and is regularly known to review and recommend Amazon’s products. Every brand needs to reach new audiences consistently to market their products or services. But before you approach people with your products or services, it is important to know who you’re selling to. You should always try to attract and sell to a target audience who are extremely likely to be interested in your offerings. You can increase your chances of selling successfully when you target a niche audience with specific demographics. For instance, if you’re a brand dealing in real estate, an ideal buyer persona for you is most likely to be young, salaried professionals working in big corporations. Social influencer marketing campaigns can be as broad or niche targeted as you want it to be. This is the best part about collaborating with social influencers. Social influencers are experts in their own niches, which might be anything from fashion to cooking. As a brand, you can identify and select the most appropriate ones for niche marketing on social media. Additionally, you can also request influencers in your niche to share their follower demographics with you. These insights can help you choose influencers who can help you reach your specific target audience. Niche marketing with social influencers can prove extremely beneficial for your brand. The reputed fashion brand, H&M owes their huge Instagram following to niche social influencer marketing. The brand chooses women who can reflect H&M’s style gracefully all by themselves. These include fashion bloggers, models, style bloggers, and other fashionistas. For their 2017 catalog, H&M partnered with fashion blogger, Julie Sarinana. She loved their clothing so much that she chose to promote them from her personal profile. They recently partnered with the Mancunian style blogger, Megan Ellaby to promote their H&M Divided collection. Every website in the world would like to gain a great ranking on search engines. However, the bad news is that there is no easy way to getting a good rank. One of the most important factors that decide your search ranking is Domain Authority (DA). Moz conducts a study of search ranking factors every two years. Per the most recent study, Domain Authority has the highest influence on search ranking. 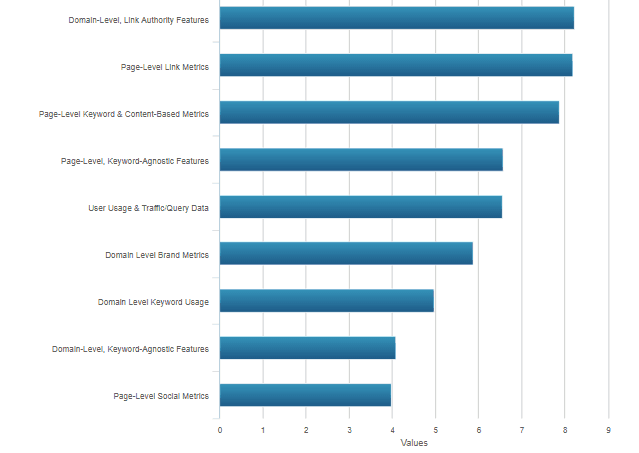 According to Moz, higher your DA more is the likelihood of your website getting a good rank on search engines. But the bigger question is, how do you improve your DA? Moz says that building backlinks from other trusted pages which have a high DA, can boost your ranking too. Your social influencers can be a great source for creating quality backlinks to your website. Not only will this help in boosting more traffic to your website, but also boost your SEO. 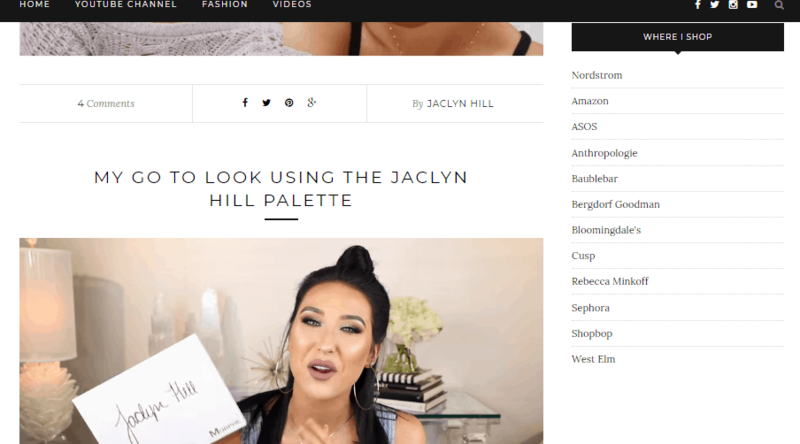 Makeup artist and popular social influencer Jaclyn Hill mentions the brands from where she shops on her website. These are great backlinks to these sites and traffic drivers. Why do you think people follow influencers? Is it simply a reason to spend more time on social media or more content to browse? In reality, people follow influencers mainly because they believe that they can derive some value from them. For example, an influencer who is a fitness enthusiast will regularly share tips and ideas on healthy living. Their followers want to know what keeps them fit and healthy. Is it a particular diet they follow? Or a certain workout? Basically, followers want useful insights from these influencers. If they’re considering purchasing a product, they’d like an influencer’s review on it. 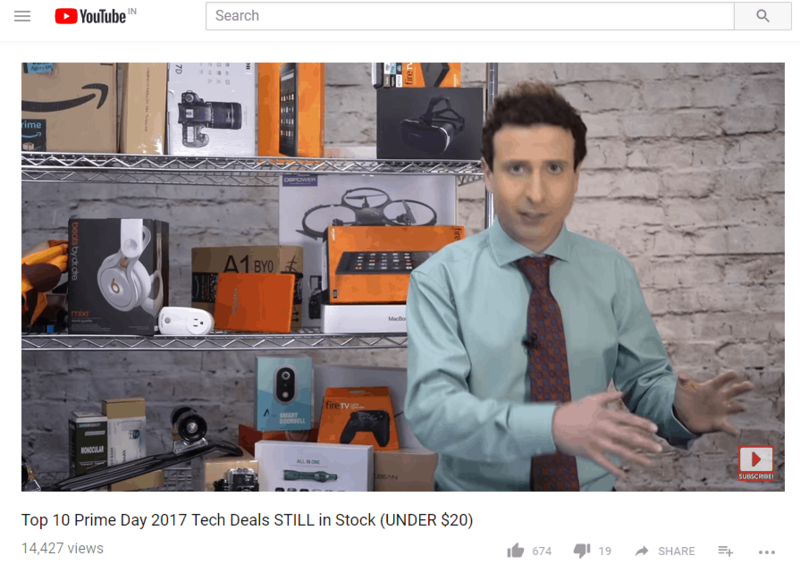 A study conducted by Influencer Central shows that 81 percent of consumers consider product reviews while purchasing a product. Brands can leverage social influencers to provide more value to their customers. If an influencer reviews your products and shares a recommendation, you help your customers in making an informed decision. This also boosts loyalty and trust. 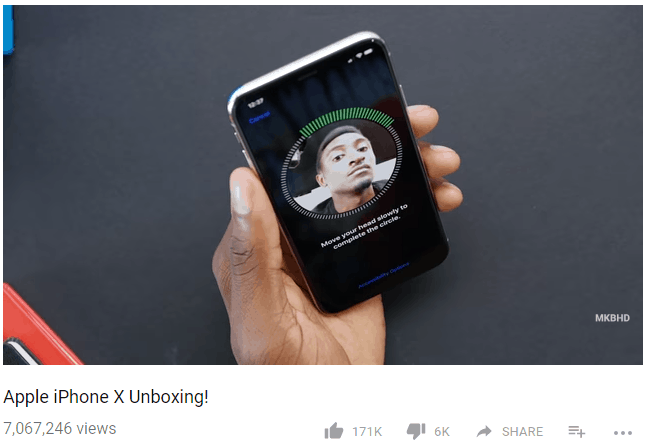 Marques Brownlee is one of the most famous tech geeks and influencers on YouTube. He regularly posts video reviews about new tech gadgets, such as unboxing videos of the latest phones. Even though social influencer marketing is truly effective, it continues to be a comparatively inexpensive method of marketing. However, not many companies or brands have a realistic idea of the costs associated with it. So they shy away from leveraging influencers in their marketing strategy. A study by Bloglovin’ reveals that most micro-influencers on Instagram charge less than $250 for a branded post. The same goes for micro-influencers on other channels such as Facebook. In fact, on Twitter, most micro-influencers charge less than $200 for such posts. As a company, you get to save a lot on your marketing budget if you work with micro-influencers. Not only can they connect you with your target audience but are also inexpensive compared to TV ads or billboards. 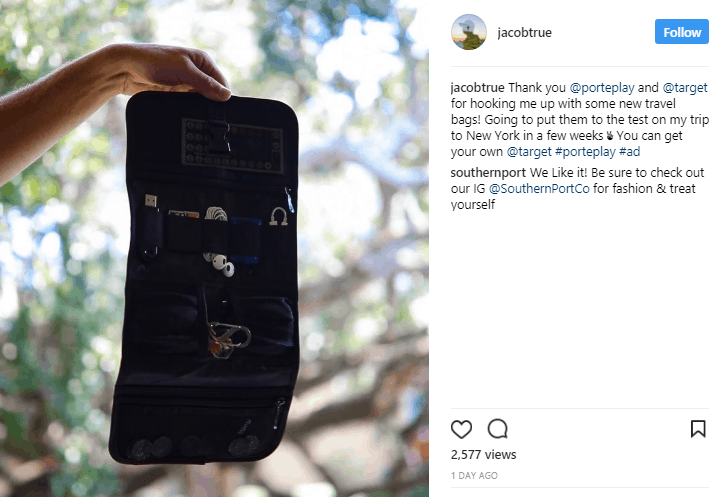 Jacob True is a micro-influencer in the travel industry having a few thousand followers on Instagram. However, his posts easily get more than 2000 engagements due to his influence. This can be an inexpensive way for brands to showcase their products to his followers. Successful influencers always have a niche, based on which they create their content strategy. A niche is what defines them. It is something that their followers believe them to be an expert at. 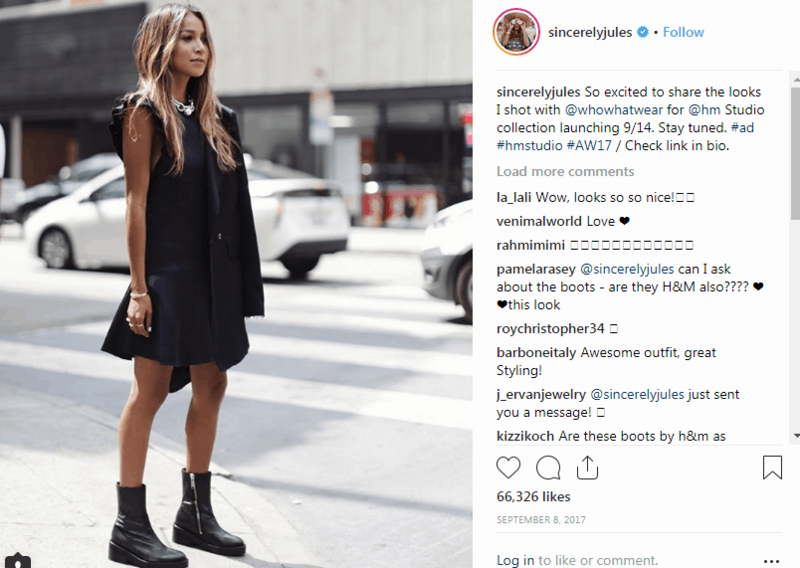 So if your products are directly related to an influencer’s niche, you can generate more relevant leads from influencer marketing. Suppose, you have recently launched your company that sells plus-sized apparel for women. Your target audience would be plus-sized or curvy women. If you partner with an influencer who promotes body-positivity or fashion for curvy women, you can reach a tailor-made audience. Since the followers of such an influencer are your target audience, any leads generated from your campaign will be relevant. Using social influencers in your marketing strategy can help you reach your target audience quickly. Not only does this help you increase your brand awareness but also helps you with quality leads. You must remember to choose an influencer in your niche in order for your campaign to yield the best results. 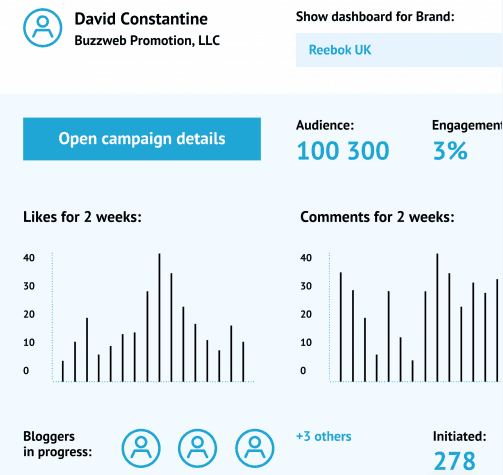 A platform such as Buzzweb can help you find relevant influencers run your campaign effectively. A study from Influencer Marketing Hub reveals that influencer marketing is the fastest method of acquiring customers online. 28 percent of the respondents in this survey ranked influencer marketing at the topmost position. Man Tea is a tea brand that is known to boost health and fitness for men. They created a social influencer marketing campaign using male influencers known for a healthy lifestyle. Daniel Rutten is one such athlete and influencer who posted the benefits of the tea on an Instagram post. This helped the tea brand gain visibility among their target audiences. A study shows that brands are making $7.65 from every dollar spent on influencer marketing on an average. The same study also reveals that 81 percent of consumers frequently make purchases of products shared on social media. Social influencer marketing not only gives you quality leads but also drives conversions. A popular way of driving conversions using influencers is to incorporate a call-to-action on sponsored posts. This can be a discount code shared by the influencers on their posts. Not only does this provide value to their followers but also helps brands acquire customers quickly. Your marketing campaigns are truly effective only when people buy from you. Reviews can definitely create brand awareness and increase your reach. However, your audience will convert only when they get something substantial. Coupon codes will give your audience a gentle nudge towards a purchase. 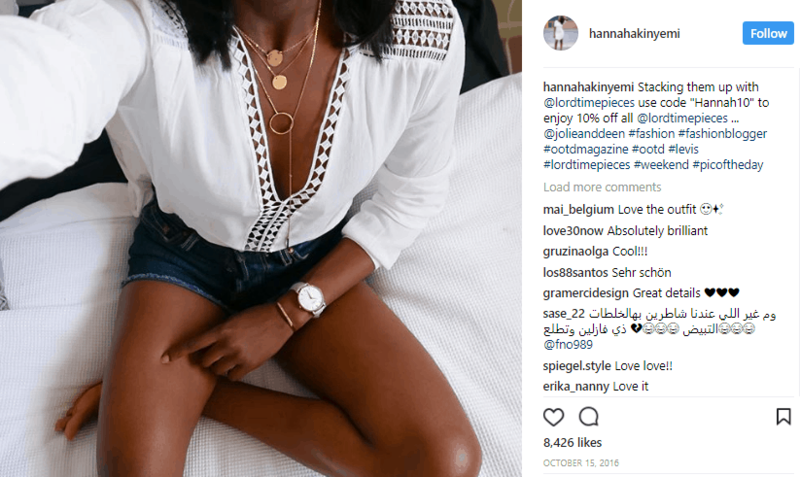 LORD Timepieces used social influencers in the lifestyle space on a marketing campaign. These influencers posted images of themselves wearing their watches along with a unique discount code. As a marketer, you know how difficult it is to continually come up with fresh content ideas to engage audiences. Not only does this require a considerable amount of time and creativity, but also significant resources. Social influencer marketing can help in your content strategy. This will ensure that the onus of creating fresh content does not lie with you exclusively. Influencers on social media are constantly looking for ways to engage their followers. They know that the only way in which they can do so is using compelling content. So they spend a lot of thought and effort into creating quality content for their social channels. Some of the bigger influencers even have their own content or production teams. When you partner with a social media influencer for any marketing campaign, you can work out a mutually beneficial arrangement. Some of the content can be generated by you while some of it can be created by the influencer. With such an arrangement, you benefit from the creativity and high-quality content created by your influencer. Cassey Ho is a fitness instructor and influencer having more than a million followers on her Instagram account. 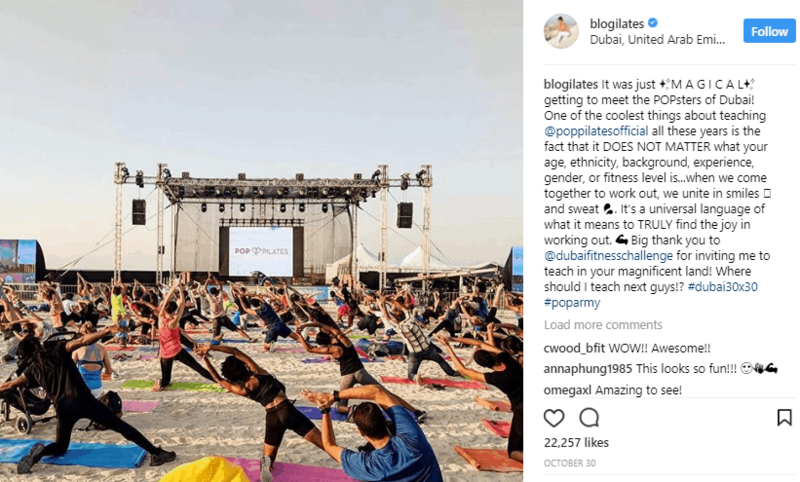 In a simple post, she combines promotion for her classes as well as the “Dubai Fitness Challenge” event. This is great way in which the event organizers have leveraged her influence for their marketing. 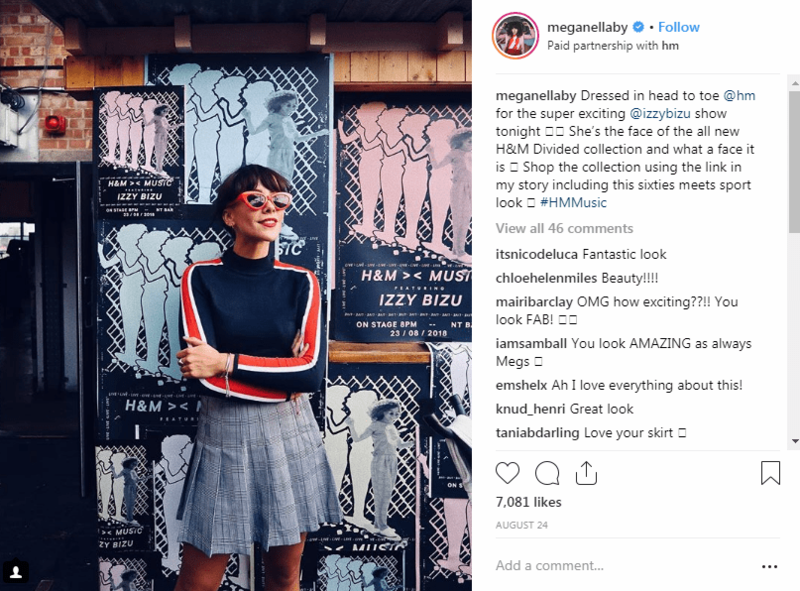 These are some of the biggest benefits of using social influencers in your marketing campaigns. Given the success derived from social influencer marketing, most companies nowadays set aside dedicated budgets for it. As with all marketing strategies, you cannot hope to start seeing results overnight. However, selecting the right influencer and creating an effective campaign can be a game changer for your business. What are some more ways in which social influencers can help businesses? If you can think of any other benefits, let me know in the comments below. And if you are trying to create a social influencer marketing campaign and need help, do let me know. Learned a lot about social influencer marketing. Useful article for beginners as well. Thanks, Shane! Does this work for B2B companies too? Let’s use as an example a design agency who needs to attract companies and has a longer sales process. Finding influencers in the design niche is still a good approach to take?